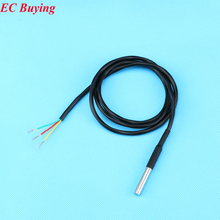 In this article we will discover the temperature OneWire DS18B20 temperature sensor, available also in a waterproof version. 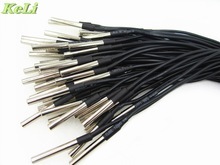 The DS18B20 is a so called 1-wire digital temperature sensor. “1-wire” make this sensor really cool and you can connect multiple devices together, utilizing only one pin on your ESP8266 or Arduino. The waterproof version can be used for outside temperature or for the fridge temperature, where the medium is not so friendly with the electronic circuits. To get the ESP8266/Arduino and the sensor to work we need the one wire library. Datasheet is available here or DS18B20.